Although the United Arab Emirates is widely regarded as one of the more liberal countries in the Gulf, a recent law is threatening to place it alongside its more conservative (cough, sexist) neighbors, and brings a whole new angle to the breastfeeding debate: Last week, the United Arab Emirates passed legislation making it mandatory for new mothers to breastfeed their babies until they're two years old — and making them liable if they don't. So while women in the U.S. continue to fight for nursing rights to be enforced in the workplace, women in the UAE could be getting sued — or worse, risk criminalization — for choosing to bottle-feed. The law was passed by members of the UAE's Federal National Council, who added it as a clause to a Child's Right's Law. Citing the benefits of breastfeeding — such as decreasing the risk of ovarian cancer, burning extra calories a day and possibly reducing infant mortality — the Council claimed that breastfeeding ought not to be regarded as an option, but as a duty. "This is part of raising a child. This is mandatory," said Ahmad al-Shamsi, a member of the council. "Laws are not all about fines and penalties – some are also humane." 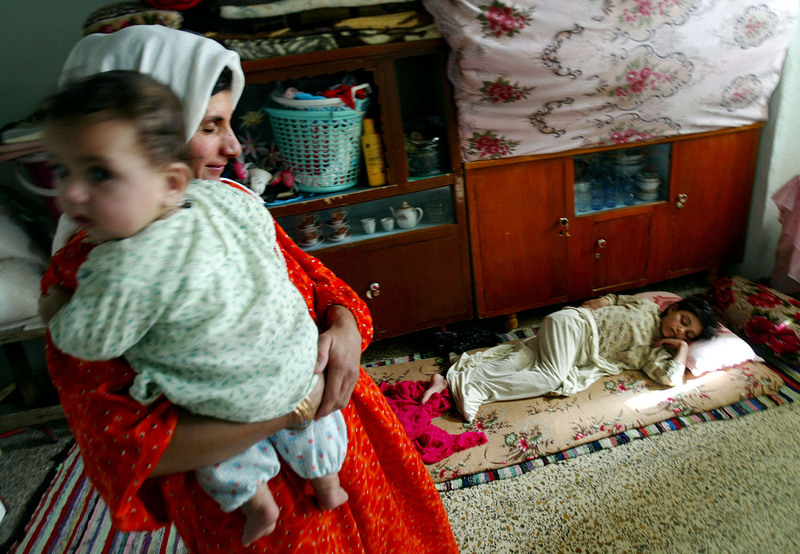 First, the (sort-of) positive: under UAE law, working mothers are given an hour a day off their job to breastfeed. So, in theory, the new legislation shouldn't discriminate against working women. And to keep that non-discrimination going, the new law hopes to ensure that all government bodies and most private organizations have nurseries on sight. As for mothers who are physically unable to breastfeed? The council has suggested that wet nurses should be provided for the babies. "This is the right of every child for two years," Sultan al-Sammahi, another member of the council, said. "If they do not have a mother or have been neglected, then they should get this right from someone else." Now to the obvious, and numerous, complications: first off, of course, is the fact that women are being forced, by law, into using their own bodies a certain way. Not only is that inherently problematic, it's also pretty disgusting. On another level, there's no way that mandating breastfeeding won't interfere with a working woman's lifestyle — no matter how many provisions or nurseries or hours off are given. No doubt plenty of women choose to do it, and manage beautifully. But being forced to do it, on pain of being fined (or worse)? Of course it will mean that new mothers face an added obstacle, one that some might find harder to overcome. Arguably more worrying is that women who are physically unable to breastfeed will have to prove, in some way or another, that they are, in fact, not able. As the Dubai-based group Out of the Blues points out, breastfeeding specialists and lactation consultants can be hard to access in the country, so just how the ability to nurse will be judged is unclear — some new mothers might not find a way to show that they're not able to nurse, and could subsequently face punishment for that reason. "We are concerned that enacting a law that leaves mothers facing potential punishment could be a step too far," the group said, in what could be the understatement of the year. Back in the U.S., American labor laws have adapted to respect the rights of breastfeeding working women, giving them the right to pump at work in a clean, non-bathroom, private space. Of course, enforcement isn’t always working, and there is a worryingly high number of cases of women who have faced harassment and discrimination just because they've chosen to nurse their child. Still, it's a whole other kettle of fish when legislation puts women under threat of being sued by their husbands or other family members for choosing a bottle. Funny, though, how on either side of the world, it's still an issue of women's bodies being controlled.